I've done fire roads, gravel roads, and forest roads at fast pace with my Vee2. Stream crossings about 16" deep and horse trails in the woods wide enough for a golf cart. Aggressive tires help, but the weight becomes an issue even on a lawn when things get slippery. It took me three runs before I could get the beast into my shop on a rainy day here in SC. Really buggered up the yard too. Some guys ride this bike on single track trails in mud ruts 24" deep. Some people in asia jump off bamboo towers with vines tied to their ankles to see which can get his head closest to the ground before being sprung back up. If you are successful at land diving you can walk away without damage. Not so with taking a V-Strom down miles of heavily rutted single track trail. Plain and simple, you will beat the crap out of it. Macdoc, JorgeLuis and Griff2 like this. Last edited by richlandrick; 01-20-2019 at 12:25 PM. The strom is much more capable than many folk say. No, it is not a dirt bike and can't be driven like one. Paths that a real dirt bike would blaze over, have to be treated as technical routes with the Strom. Low ground clearance, and typically poorer tires, means slow and carefull is often the best plan of attack. Sensible riding, with the storms shortcomings in mind, you can venture almost anywhere. It is just more challenging on the strom compared to riding a full off road machine. Big B, richlandrick, gleeful and 1 others like this. So its up to your skills how far out you can go, provided you prepped the bike accordingly. B-Mac, BradA34 and Sullaha like this. Just an agreement with the others. The Wee is a decent adventure bike that handles very well on pavement and will do mild off pavement ( dual track/forest roads in decent condition ). It's not an off road bike. Take it to Alaska camping yup. Single track, mud, bull dust....nah. Too heavy, too low. But It was superbly stable with 50/50 tires when I wanted to explore some of the back roads but could still do 1000 km days on road. ADV riding at a blisteringly snails pace. "These are slow-speed off-road motorcycles designed for use in the most rugged terrain. Some are capable of 35mph or more, but typical top speed is about 20 mph. 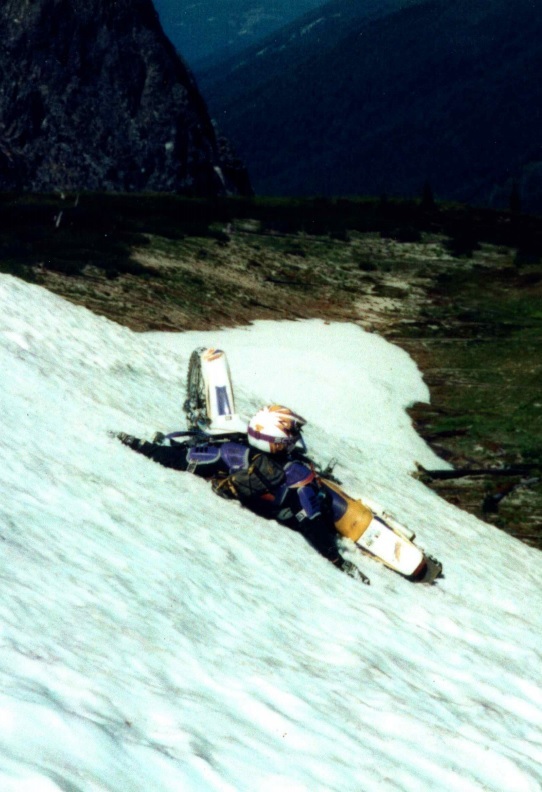 Current models are the Trail-Breaker, Ranger and Scout. When ascending very steep hills speed may be 0.5 mph." It's all about the RIDER and skill/comfort level, the Stroms are more than capable in most scenarios. B-Mac and Hatchi like this. Oh come on ....they are not by any stretch "off road" motorcycles for the average rider.....especially one that hasn't even any off pavement experience on a motorcycle. I’m days away from pulling the trigger on a VStrom 650xt as my first adventure bike. Ridden road bikes until now. and the others answered him honestly .....you think your advice is sound to this new to Vstrom rider regarding "off road" ???? realshelby, Brockie, Griff2 and 1 others like this. Last edited by Macdoc; 01-20-2019 at 05:58 PM. V-Stroms are touring motorcycles that properly prepared (tyres,tyres,tyres!) and with an experienced rider can venture off-road. I have been to a thousand places on dirt bikes that I would not have been able to ride (and nor would I have even attempted) on an adventure bike. They are simply too heavy, too vulnerable, too wide, and have limited ground clearance to go places where a dirt bike can get you. I am not knocking them - just realising that they have their limitations. Formed 4WD tracks, forestry roads, and easy single track are realistically within their capabilities, but steep damp downhills, for example, are out. 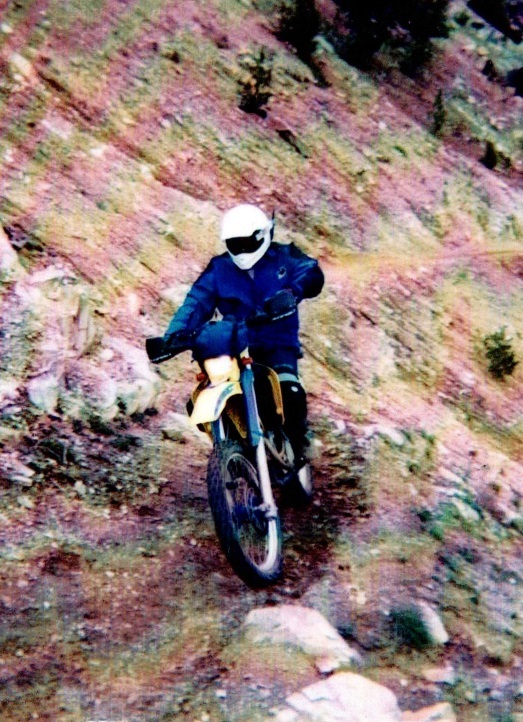 Likewise, rocky terrain with step ups and drop offs that a dirt bike can easily tackle and conquer. richlandrick, VSrider, ChazEd and 3 others like this. +1 on what Brockie said. It all depends on your persepctive. people who have ridden dirt bikes (e.g., XRs, KTM EXCs, KDX, etc.) and goldwings and ST1300 know te spectrum. Hold on while I get photo. Be back shortly. This is stream crossing. A V-Strom can do this. This is the side of a mountain in the Cascades and an 18" wide black diamond trail. A Husaberg is good for this trail. V-Strom not so much. This is a glacier on Mt. St. Helens. This trail is good for your humility even on a KTM EXC. Not good for a V-Strom. Last edited by richlandrick; 01-20-2019 at 09:29 PM. I always answer honestly Macdoc, you and I just typically disagree with each other. Hell I don't think the average rider can even ride very well on pavement, so of course the average rider won't be that great off pavement on most bikes. 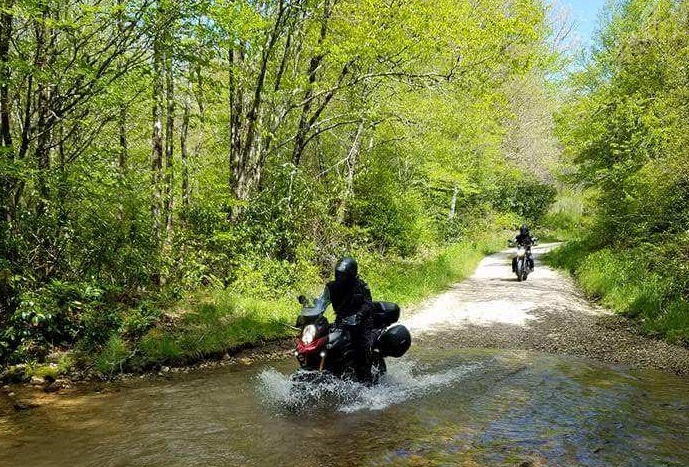 The Stroms, Tigers, GS, Tenere, Adventure's.....yes they are ALL capable off pavement for many above average or great riders, but of course as with everything else.....there is always trade off. My advice to any new rider is to stay on pavement until you are a really good pavement rider, same goes for riding 2 up and for eventually venturing off pavement. No bad advice or opinions have been given by anyone, all have merit and experience behind them. V-Tom, VSrider and Motor7 like this.